A long, long time ago, my parents got divorced. I was 11, turning 12 when my dad and I moved in with my grandma during the week. (I stayed with my mom on the weekends.) Although it sucked to have my parents split up, I got a wonderful opportunity to live with my grandma for just over a year before she passed away. My grandma and I always had a special connection. I was her only granddaughter. Our birthdays were only 2 days apart. Well, 54 years and 2 days. In fact, the 31st anniversary of her passing is this month. So many things pop into my head when I think of my grandma. I remember her grape juice. She always had a small juice glass with just a little grape juice in it. And she would sit at her dining room table with her elbows propping her arms up to a triangle where her hands met. One hand holding the other, which had a lit cigarette in it. It was the early 80s. Everyone still smoked. But one of the things I remember about her so well was her cooking. Whenever I start off a dish by sauteing onions, I flash back to her kitchen (when my mom was not going to be eating there) and her cast iron pot. Oh, and her fried potatoes! Those were the best! I never had the patience to wait for them to be done. She was always telling me that they weren’t ready yet. But one of my favorite things to make with her was applesauce. 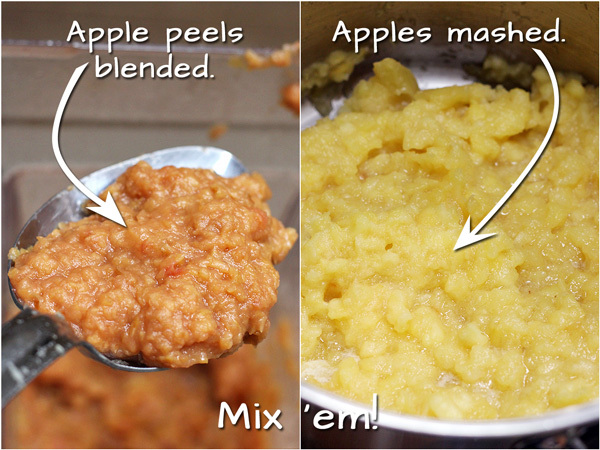 She thought store bought applesauce was silly when it was so easy to make homemade applesauce. I have seen so many recipes that call for sugar and a million spices. And so, sooooooooo many that call for making it in a crockpot. Totally confusing to me. 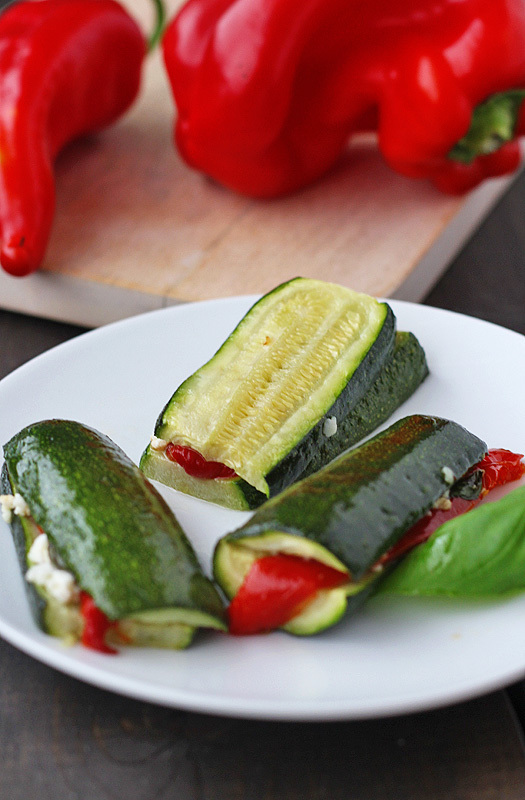 After peeling and chopping, which you are going to have to do whether you make it in a crockpot or not, it only takes 10 – 15 minutes. This applesauce is only two ingredients, if you count the water. It is so sweet and yummy on it’s own. Add spices when you go to eat it, if you want flavor. 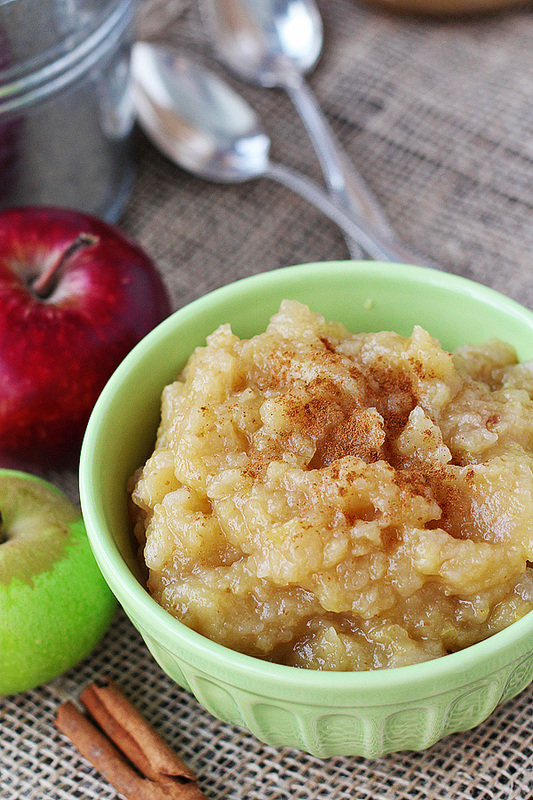 Use this as a base applesauce, and add flavors to change it up. Like pumpkin in the fall? Swirl a bit of pumpkin in there. Like cinnamon? Go for it. Like strawberries? Dollop a little jam on top. Heck, do you like oatmeal in the mornings? This makes a great topping. 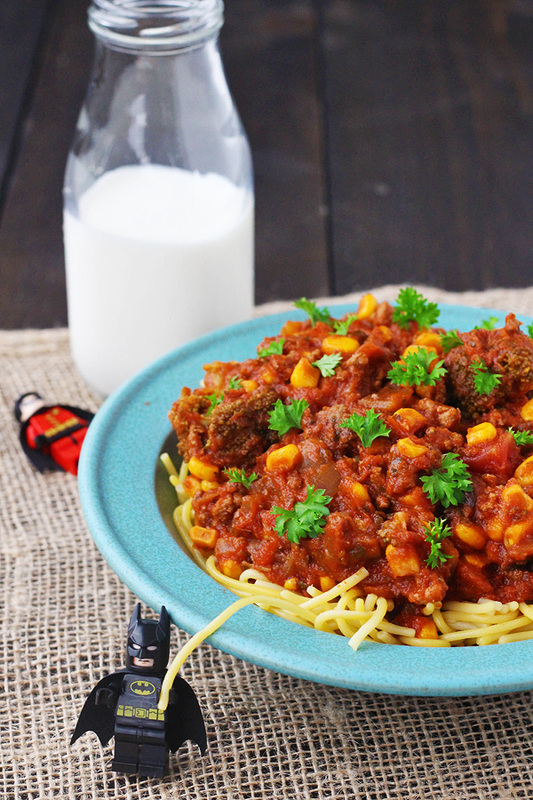 Also, this is a great recipe to make a lot of and can. And I did just that. I canned 4 quarts of this yummy stuff for eating this winter. And I am going to can more. All you need. Plus a pot or two. 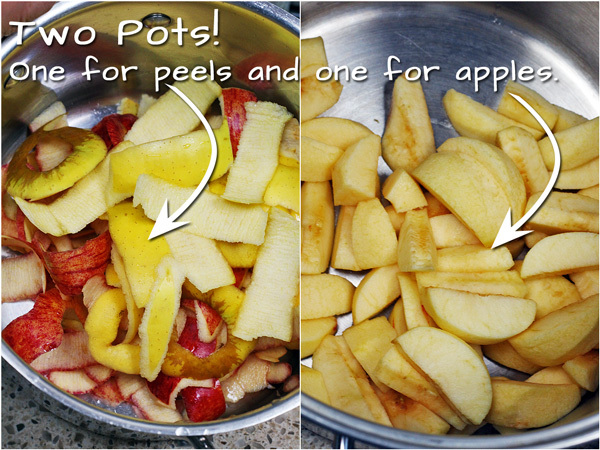 Place peels in medium pot with ½ cup water. Place apples in large pot with 1 cup water. Cover and cook each on medium high for 10 - 15 minutes, stirring ever few minutes, until it is the mushy-ness you want. 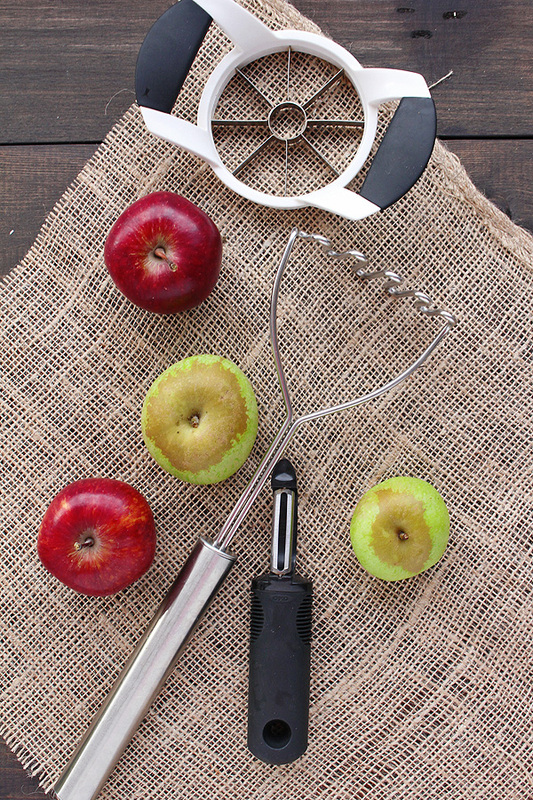 Use a potato masher (pictured above) and mash the apples. Use a blender or food processor to blend up the peels. Mix the two parts together. 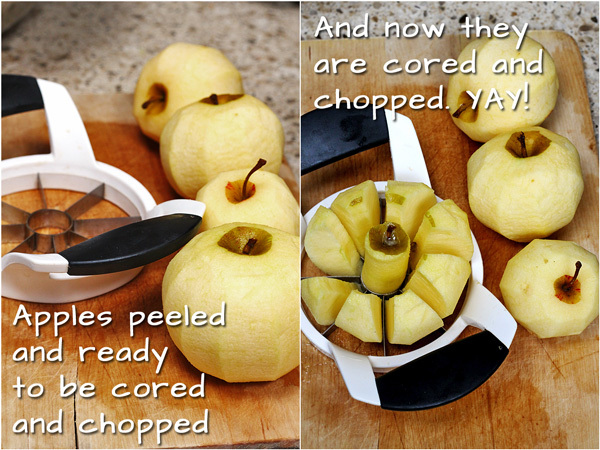 The peel give extra flavor and sweetness to your applesauce. So yummy! Hey, Tia! 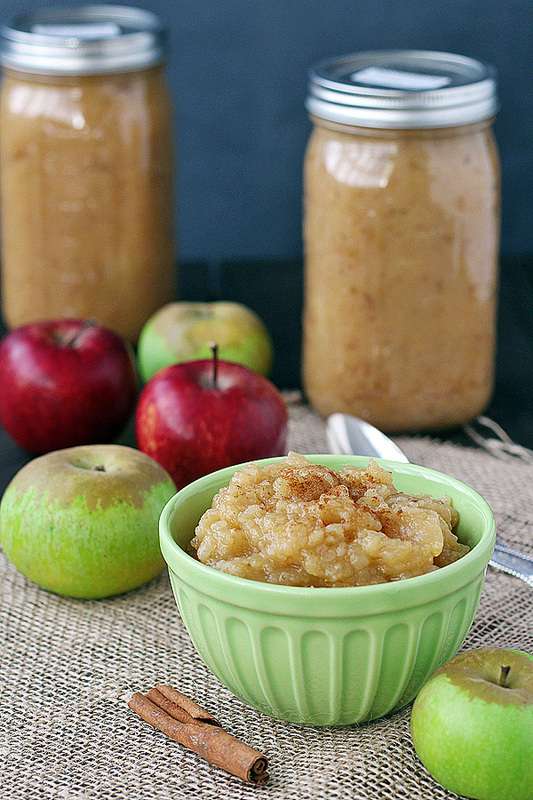 Your applesauce looks beautiful! 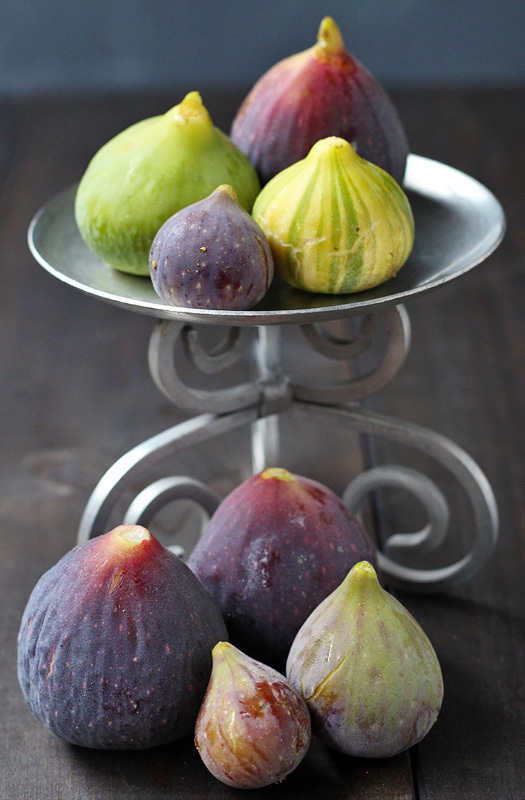 Especially in that pretty green bowl! 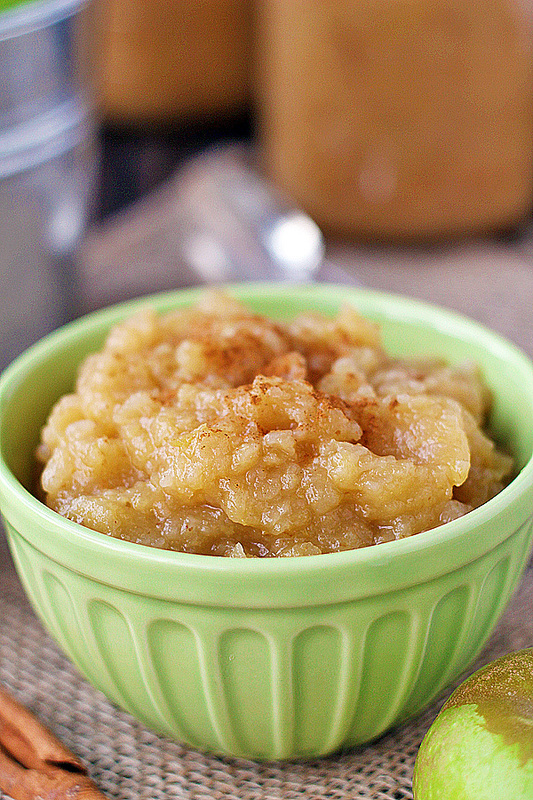 And I agree with you – Why would anyone want to make applesauce in a slow cooker?!! Thank you! I appreciate that. Hope you have a great day, too! I used a combination of yellow delicious, red delicious, pippin and gala. I just used what was starting to go from the ones we picked earlier. Worked great and very sweet and flavorful. 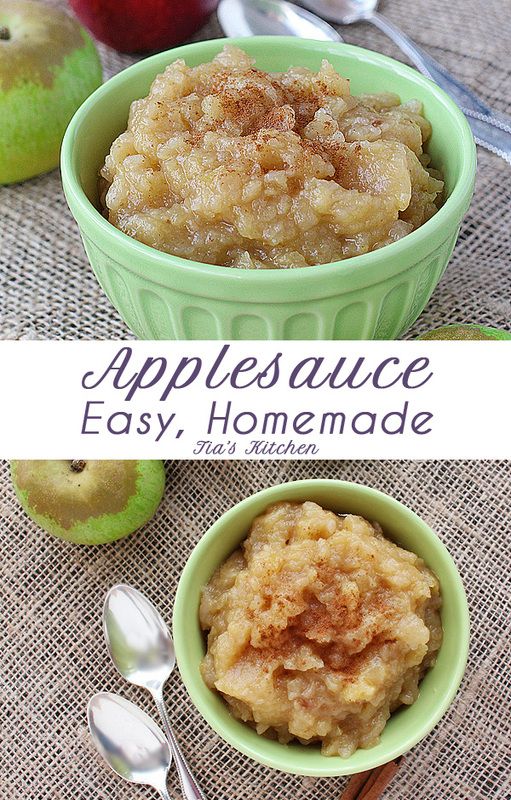 Thank you for the yummy Applesauce recipe. I would like to make your applesauce cake. I was wondering if there is another oil I can use besides grapeseed. 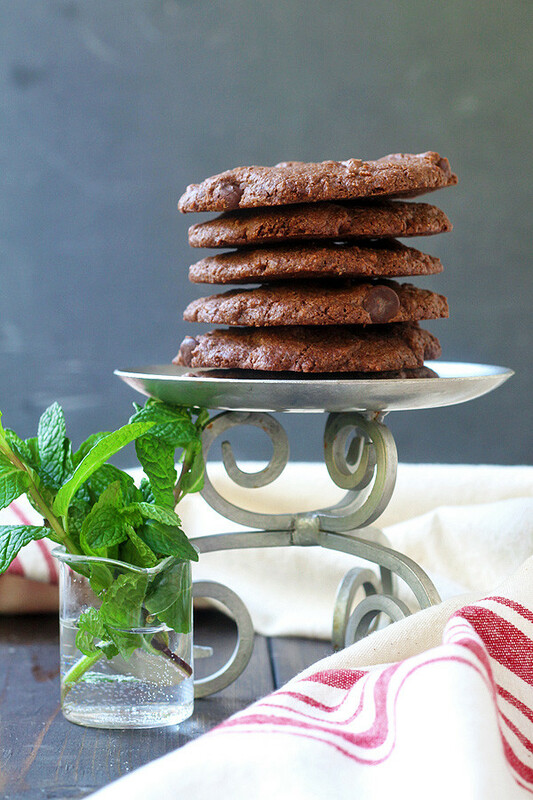 Would coconut work our would you suggest that I only use grapeseed oil? Since I haven’t used anything other than grapeseed oil, I’m just not sure. In theory, I would think it would work, but I just don’t know since I haven’t tried it.